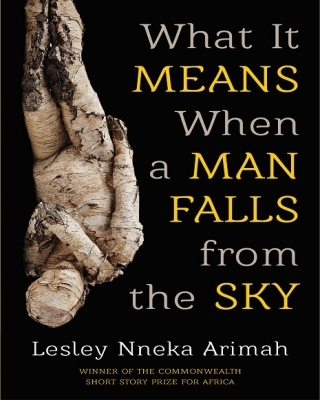 #LiterallyWhatsHot: 12 Awesome Stories with Beautifully Crafted Narratives is What You Get in Lesley Arimah's "What It Means when a Man Falls from the Sky"
What does it mean when a man falls from the sky? “It means twenty-four-hour news coverage. It means politicians doing damage control, activists egging on protests. It means Francisco Furcal’s granddaughter at a press conference defending her family’s legacy”. Oh. But that’s not all. It also means time spent seeing that The Future Looks Good, not for Ezinne though. It’s so sad that she never got to see that future, all because of the love she had for a careless sister. She’d have loved War Stories, visited the Wild, enjoyed the Light, got Second Chances on love and Windfalls. Because people know how much she’s loved, they wouldn’t bother to ask, Who Will Greet You At Home? She’d play with Buchi’s Girls, she’d Love the Glory of the sun and ask her father, What Is A Volcano? And he’d answer, a volcano is Redemption. In the opening story, “The Future Looks Good”, Arimah tells us history in a very unusual way, circling back on the events, from one generation to another, that led poor Ezinne to fumble with keys against the lock and doesn’t see what came behind her. 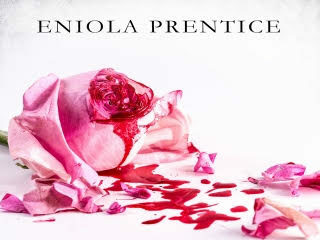 Its ending catapulted me through realms of heartaches. I read it twice before finding the courage to move on to the next story. 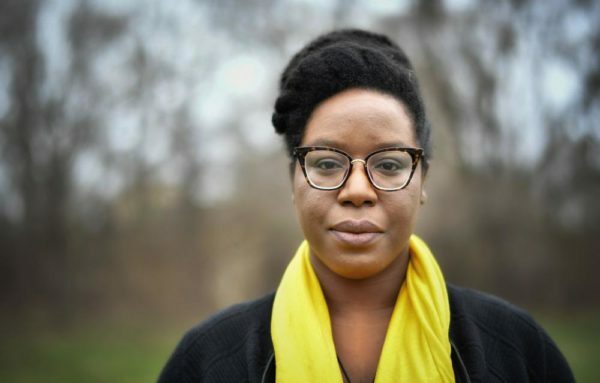 One of the greatest excitement in reading the beautifully crafted narratives in Lesley Nneka Arimah’s collection is the unexpected twists that grip your heart with pain, or a new world you wish you could visit, so as to witness it first hand. In Arimah’s world, we have chracters such as Nneoma, the proud worker that uses mathematics to relieve people of grief and pain. Then we have a young wife and mother who once dead, returns to her family to get a second chance at reconciliation. Then we have a world where babies are created from human hair. The stories are centered on female protagonists exposed to a cruel world that pushes them to take certain steps to fit in, or make them realize, they just might not fit in. We also see a lot of strained relationships between mothers and daughters, depicting real life sceneries of the conflict that exist when mothers feel, their daughters aren’t meeting up with what the society expects. Arimah’s narrative makes use of rhetorical devices that throws you off balance at first, then gradaully pulls you into the story. Each page carries in it, energy, momentum, self-awareness, humour, and creativity. Some stories throw readers afar, some are personal. But in all, the stories, daring, will keep you rooted to the end. Karo Oforofuo is an experienced freelance writer, an author of several fiction books, and a blogger at Pelleura, where she entertains readers with mouth-watering stories, real life experiences, relationships and business articles. She also specializes in helping authors, who want to start and grow their reader base, through consulting sessions. When she’s not working, she’s busy reading the next best paranormal romance novel or writing one. Cool title! Will check it out! YASSS BN BETTA DO THOSE LITERARY FICTION REVIEWS! Thanks for this! Lesley is just an excellent writer. 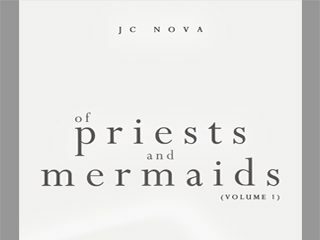 Haven’t read *all* the stories in her collection but the first time I encountered her was reading “Windfalls” in Per Contra almost two years or so ago. That story messed with me mehn. SHE IS INSANELY GOOD. Then I read “Light” from Granta and my stan status was confirmed. Can’t wait to read the stories I’ve missed! 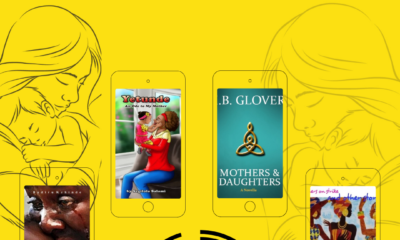 Since y’all are doing reviews of books and stuff, can I request you review “Welcome to Lagos” by Chibundu Onuzo and Jowhor Ile’s Etisalat winning “And After Many Days,” and Ayobami Adebayo’s novel (I forget the name). Sha, una keep it up. 100/100.